Ashlands in Burwash, near Heathfield, Sussex sleeps 17 people. Ashlands near Heathfield is an imposing, spacious, gothic style property on the outskirts of the pretty tree-lined village of Burwash. Nestled in the High Weald Area of Outstanding Natural Beauty in East Sussex; Burwash boasts two good food serving pubs, a grocery shop, butchers, post office, antiques shops and a tearoom. Enjoy scenic walks from the door across the fields to Rudyard Kipling’s home, Batemans, and now a National Trust property with a working watermill and mill pond. Stroll down the drive and the along lane leading into the village which was mentioned in the Domesday Book. In the 18th and 19th century, Burwash was a haven for smugglers and many a highway man could be spotted on the Heathfield to Hawkhurst Toll Road. Days out can be enjoyed at Battle Abbey, built by William the Conqueror as a penance after the Battle of Hastings, the fairytale moated Bodiam Castle, Go Ape at Bedgebury Pinetum or Bewl Water where you can enjoy a variety of water sports. Take a trip on the Kent and Sussex steam railway, or enjoy wine tasting at local vineyards. There are also many beaches nearby including Pevensey Bay, Hastings Bexhill, Eastbourne and Brighton, all within driving distance. There are excellent train connections to London from Etchingham station so you can enjoy some sightseeing opportunities in the capital. The beach is 15½ miles from Ashlands near Heathfield. With the shop, pub and restaurant ½ mile from Ashlands. 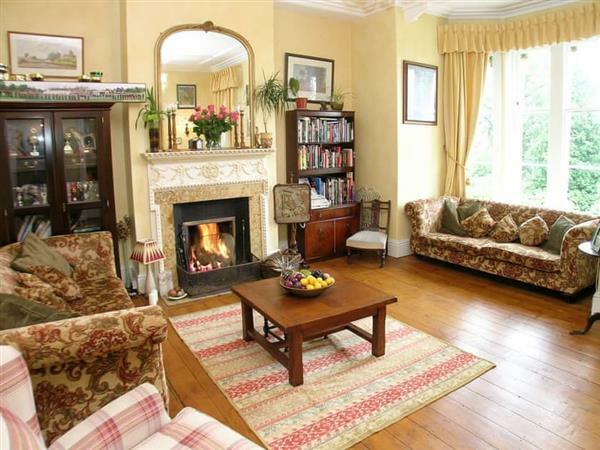 Drawing room: With open fire and wooden floor. Kitchen: With breakfast area, Aga, combi microwave/oven/grill, fridge/freezer and dishwasher. Bathroom 2: With shower over spa bath, and toilet. Bedroom 5: With double bed and twin beds. Bedroom 5: With double bed, single bed and sloping ceiling. Oil central heating, electricity, bed linen, towels and Wi-Fi included. Initial fuel for open fire included. Travel cot and highchair. Lawned garden with patio, garden furniture and barbecue. Private parking for 6 cars. No smoking. Holidays at Ashlands run from Friday to Friday. For a better idea of where Ashlands is, you can see Ashlands on the map below. Ashlands is in East Sussex; should you be on the lookout for a special offer, you can find all the special offers in East Sussex. It's always worth checking to see what is on offer at the moment. Do you want to holiday near Ashlands (UKC3939), you can see other cottages within 25 miles of Ashlands; have a look to find your perfect holiday location.